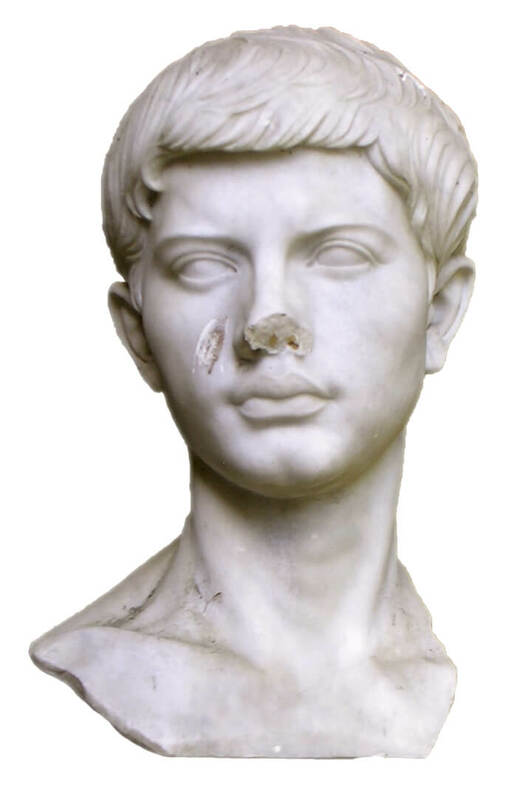 If you are a classical educator—either a teacher in a school or a homeschooler—there is one question you will be asked again and again: Why teach Latin? This is probably because there seems on the surface to be no practical reason for doing it. Why would we consider studying Latin with so many other priorities in our modern curriculum, like science, and math, and composition? We could tell people about the sense of accomplishment our students will experience once they learn to read Virgil’s Aeneid. But although it would be true to point that out, it is, unfortunately, not the kind of answer most parents are looking for. They are looking for something a little more down to earth. So what do you tell them? Here’s what I tell them. 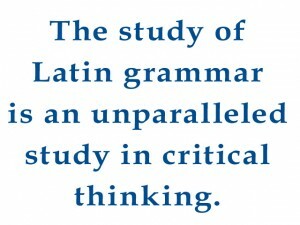 There are three reasons to study Latin in an academic curriculum. The first has to do with vocabulary. Over 60 percent of academic English is Latinate. That means that the words, although part of the English language, originally come from Latin. As I write this, I am picking up an academic book I happen to have on the table near me. I have opened it up to a random page and am looking at a random paragraph. Here are a few of the words I notice immediately: “century” (from centum, meaning “one hundred”), “order” (from ordo, meaning “row,” “rank,” “arrangement”), erode (from erodere, “to gnaw away,” “consume”)—and that’s just in the first sentence. There are some longer, harder words too: “predecessor” (from prae, meaning “before,” and decessor, meaning “retiring official”), “evolution” (from evolutio, meaning “unrolling [of a book or scroll])”; and “envisage” (from in, meaning “in,” and videre, meaning “to see”). All of these are from the second sentence. These Latinate words are accompanied by a few mostly Greek and Anglo-Saxon words (these latter mostly from the French). 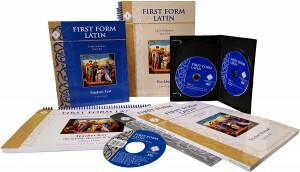 A knowledge of Latin will help you not only to know many complex English words you have never seen before—as may be the case for a student with a word like “envisage”—but it will also help you to see deeper into the meaning of words you already know—as may be the case with a word like “evolution.” Did you know before reading the previous paragraph that “evolution” had anything to do with the unrolling of a book or scroll? Learning the Old Saxon berht will only give you insight into “bright,” but not about any other word with “igh” in it. Learning one Anglo-Saxon word will only help you with one English word. But learning one Latin word will help you with numerous English words. If you learn the meaning of the Latin word pater (“father”), you will know something not only about the English word “father,” but about the words “patriarchy,” “patrician,” patriot,” “patronage,” “paternal,” patristic,” and so on. 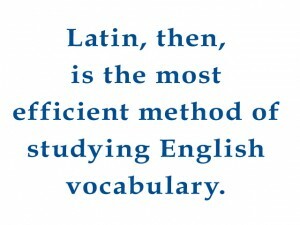 Latin, then, is the most efficient method of studying English vocabulary. 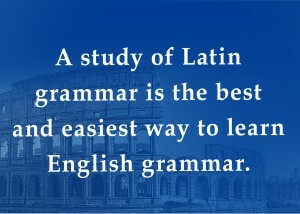 The second reason to learn Latin is that a study of Latin grammar is the best and easiest way to learn English grammar. Now on the surface this doesn’t seem to make much sense. Why wouldn’t studying English grammar teach you English grammar better than studying Latin grammar? There are several reasons for this. First, it is hard to learn the grammar of your own language. By the time you are ready to study grammar (which you can’t do to any great extent until at least the third grade), you already know how to speak English and write it at a rudimentary level, so you tend to look right through it. This is why it is always better to study grammar in another language: because it prevents you from assuming too much. The unfamiliarity of a new language forces you to look at every word and think carefully at every step about how sentences must be put together. Despite having been taught English grammar repeatedly over a number of years, the only grammar I knew when I graduated from high school was what I had learned after taking two years of Spanish and two years of German. This is why we use sentence diagrams to teach English grammar. The process of learning English grammar is just too abstract and cumbersome, which is why most students never learn it very well. It would be far better to teach grammar in a language in which the grammar isn’t hidden, in which you don’t have to turn the language this way and that in order to see the grammar in it. But not all languages are this way. In Spanish, for example (and this would go equally for French), it was easy for me to understand the grammar of verbs, but since Spanish, like English (and French), has little noun inflection, nouns were still a mystery to me. And by the way, “inflected” just means adding endings to show noun functions. In English, if I say, “The boy loves the girl,” “boy” is in the nominative case (the case of the subject—the boy is doing the loving) and is spelled b-o-y. If I say, “The girl loves the boy,” ‘boy” is now in the objective case (the case of the direct object—the boy is now receiving the loving), but it is spelled the same way: b-o-y. The only way I can tell that it is in the nominative or objective case is where it appears in the sentence. I cannot know, just from looking at the word, what case it is in. In an inflected language, I don’t need to know where the word is in a sentence in order to know what case it is in. I can just look at the word. In German, the word itself changes: In “Der Junge liebt das Mädchen,” “Boy” is “Junge.” It is in the nominative case, since it is the subject. But in “Das Mädchen liebt den Jungen” (“the girl loves the boy”), notice that “boy,” which is spelled J-u-n-g-e in the first sentence, is now spelled J-u-n-g-e-n. Why? Because that is the spelling in the objective case, since the boy is now the direct object, and the case of the direct object is the objective case. This is because German is an inflected language: Its nouns change their endings depending on their function in the sentence (what we mean by “case”). One of the things studying German does, therefore, is force you to learn noun cases—cases you don’t see in English. English assumes noun cases but doesn’t show them to you—nor does Spanish or French. But German doesn’t just assume them—it shows them to you. And so you learn noun cases by learning German declensions, the lists of noun forms according to gender, number and case. So why not learn German rather than Latin? After all, German has the advantage that people still actually speak it. Well, for one thing, although there are a few German words in our language, it doesn’t even compare to Latin in this respect. But more importantly (and the third reason we use Latin grammar to teach English grammar), Latin has something that German doesn’t: regularity. Like most languages (and English may be the worst example), German has a lot of exceptions in it. The rules usually apply, but there are too many times when they don’t. In Latin, however—particularly at the basic level—there are very few exceptions. You can almost always count on getting the right answer by simply applying the correct rule. This provides students with a safe grammar world in which to operate. There is regularity and order—like the Roman people themselves. And this order is essential when we consider the final of our three reasons for studying Latin: The study of Latin grammar is an unparalleled study in critical thinking. This is because of its complex grammar. Think about it. What do we do in terms of a systematic, organized study on the language side of our curriculum that matches in complexity and sophistication what we do on the science side of our curriculum in, say, mathematics? Every homeschool parent can tell you how nervous they get when breaking open the 8th or 9th or 10th grade math text and trying to prepare to teach it. This is why everyone thinks that mathematics helps you learn how to think critically. What language subject matches algebra for organization and complexity? Is there anything on the qualitative side of our curriculum (as opposed to the quantitative, math-science side) that matches geometry? Unless you are studying Latin, the answers are probably, “Nothing,” and “None,” and “No.” Again, you could do this in German or Russian or Greek, or any number of other inflected languages, but when you consider the problem of the irregularity of these languages, you lose some of the similarities with math, which, like Latin, is very regular. Math is a good thinking skills subject, not only because it is complex, but because it always follows the rules. There are two basic thinking skills: analysis and synthesis—contrast and comparison—making distinctions and seeing similarities. Like math, Latin is full of it. Matching a Latin adjective with the noun it modifies means you have to identify the declension of your adjective and the declension of your noun. Then you have to match them in case, gender, and number. Just count the number of distinctions you have to make in order to do this one thing—distinctions which must be made to bring the two words grammatically together. Vocabulary, grammar, and thinking skills. What other subject in the curriculum does so many things?